A while back, Jess and I took a chance on a 4 week trip to Andorra. It was time to rationalize our whole living/working while travelling situation. We’d planned to get residency in Panama but after a visit there and time to think it over, it didn’t really suit what we were looking for. Andorra had long been on our shortlist as a possibility that we had to check out, so we thought we’d take a trial run to live in Andorra. During those 4 weeks, we lived an average every day life and fell in love with the country during potentially the quietest time of year. By the end of our visit to Andorra, we had organised a bank account, signed a lease, our residency application was in progress and for the first in a long time, we were ready to put down roots. It was a massive decision, but it felt so right for so many reasons. Just another day in the mountains. Riding bikes with the locals. Why Would I Want to Live in Andorra? I always played down the safety risk in Panama and I feel fairly comfortable in most situations, but it really is nice to live in a country where you can leave your cellphone and wallet on a table at a cafe or your car running while you are at the bank. 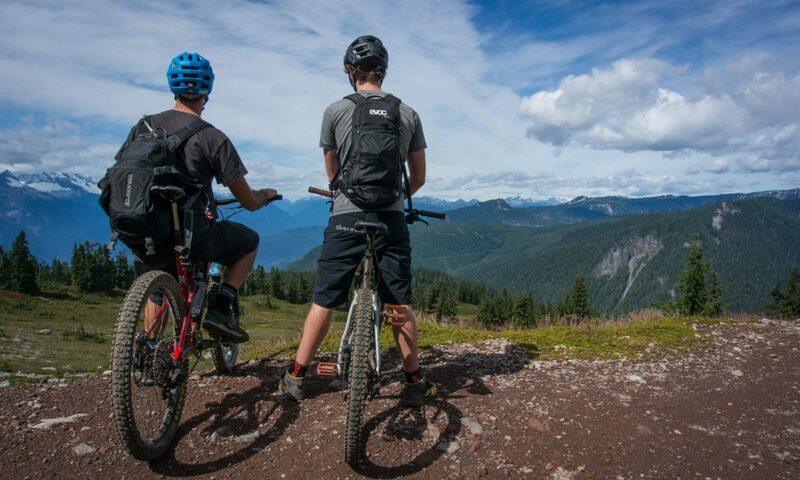 Previously living in Whistler, Canada, bike theft even while well locked was a huge problem. Here, you can leave your $7500 bike out of sight without a lock and it’s fine. The locals claim this is the safest country in the world. There are 2 roads out of the country, both with patrolled borders and no airport. Given it’s so hard to warm up your car here, it’s not uncommon for people to leave their car running while they visit the pharmacy/bank/bakery. A lot of people wrongfully assume Andorra is a tax haven. It is not. However in comparison to many larger countries, the tax system in Andorra is relatively simple. You’re better off thinking of Andorra as a giant duty free shop in the mountains. Individuals are able to earn €24,000 at a tax rate of 0%. €24,001-€40,000 is taxed at 5%. Over €40,000 is taxed at 10%. Married couples see a combined €40,000 at 0% tax. Over this amount is taxed at 10%. From year 4 onwards the rate decreases by 1% annually, meaning the property is capital gains tax-free after 12 years of ownership. For official/up to date tax information, please contact the Govern. As I understand it, every home and office in the country has fiber that terminates inside it. Not to the building. Not to the street. Not to your suburb. Right next to your modem! 2018 Update: According to Andorra Telecom some 30,000 homes and 5,000 offices across the country now have upgraded modems, bringing the country’s average speed to 285 Mbps. 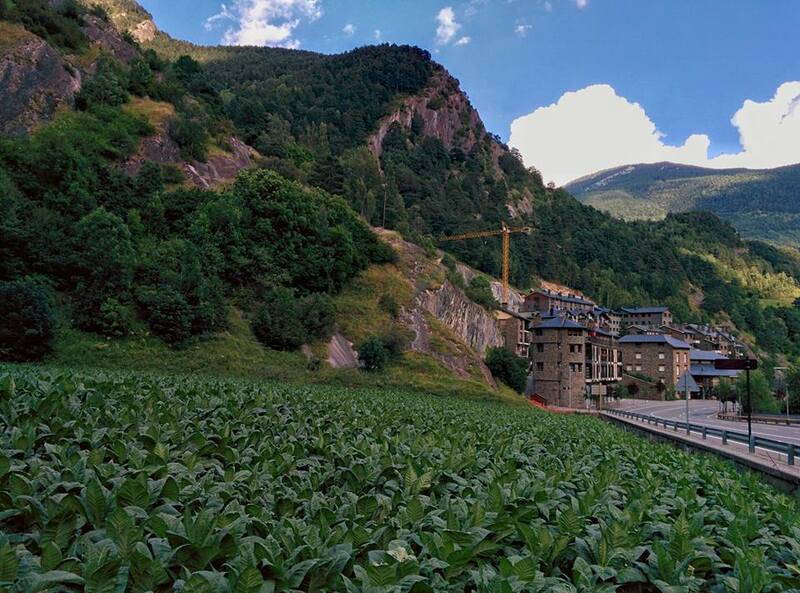 Andorra has this beautiful mix of old town, technology and country. In a 1km walk I can pass tobacco fields, horses, old town buildings, modern apartments, tractors carrying bales of hay, Fiat Pandas and Porsche 911s. Then use the free WiFi. What Sort of People Live in Andorra? 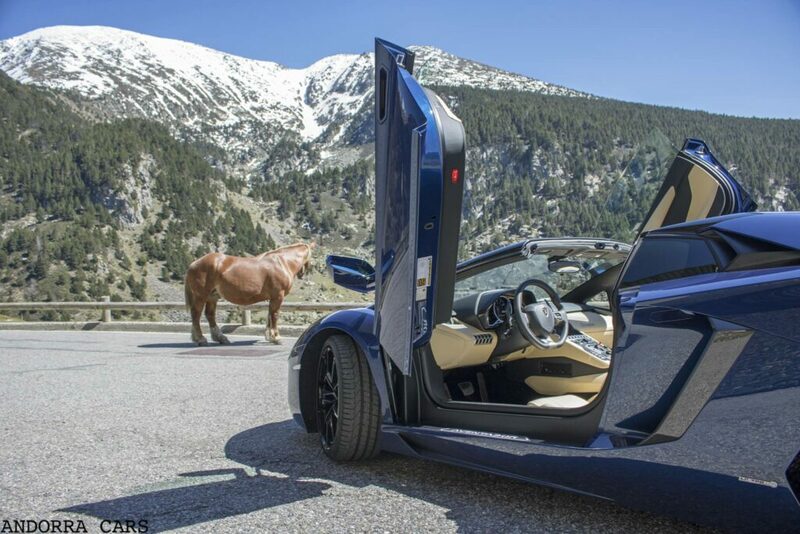 People come from all walks of life in Andorra (as you’d expect anywhere). Obviously there are the Andorran born locals; some families have been here for centuries, others for one or two generations. Historically people have emigrated from France, Spain and Portugal, but many also came from Great Britain. Nowadays, there are more and more from Eastern Europe, America, The Philippines. Some are workers coming for a higher salary than elsewhere in Europe, some are perpetual travelers simply looking to plant a residency flag, others are looking for a lifestyle change where they can spend their time skiing, hiking, cycling or maybe learn a new language and settle into the simple life. Some have enormous amount of money. Others are happy to own what is in their backpack and spend their Summers hiking around the country from camí to camí. The good news, is almost everyone has an interesting story to tell. I’m yet to meet a dull person here! So How Do I Get Residency in Andorra? For a lot of people, residency has nothing to do with tax, while for others that’s the #1 motivator. Outside of getting a job for a local business, you have 4 options, split into 2 categories. This is ultimately “Andorran tax residency”: for those that don’t necessarily want to be tied to the country for the bulk of the year but still want the taxation benefits of this beautiful country. Essentially the government is looking for residents to become part of the community and further the country. 2017 update: The door may be closing on affordable active residency, with the government floating the idea of a €30,000 bond to come in through this route. To my knowledge at time of writing this hasn’t actually been enacted, but if you are thinking of moving here it may be good motivation to do so earlier. 2018 update: Now a €15,000 bond is required for all active residents applying for “Compte Propi”. This is only for the shareholders of the company you are setting up who seek residency in Andorra. Dependants, whether they be spouses or children do not need to pay this bond. Invest in an Andorran company, owning 20% of this company or more. We took the active residency route, as we had every intention of calling Andorra home, spending the bulk of our time within the borders and moving here for good. After travelling a lot and being on that “where the f*ck is home” rollercoaster, we’d decided on spending a minimum of 9 months in one place (“home”) each year, only leaving briefly for some sun during Winter or to visit friends/family, I later stumbled on this post – it seems we aren’t alone. Since settling into Andorra we’ve found ourselves less keen to travel. After a week away on business there’s nothing I look forward to more than a hike across the road from my apartment. Home feels like a holiday, even when we’re working! How Much Does Andorra Tax Residency Cost? This varies greatly depending on what you’re willing to pay for and how much you can do yourself. Are you only paying government fees? Or you want an English speaker to register a company, apply for your residency, social security, transfer your driver’s license, negotiate your rental contract, introduce you to a bank, etc? If you’re an English speaker going for active residency, I’m going to say you need at least €21,000 all in. This includes your €15,000 government bond and €3000 in share capital which your company can use later. If you’re getting lots of help or you have a wife/dependants, that could go over €30,000. Costs can add up, especially depending on where you are from. We needed plenty of original, apostilled certificates from Australia, and these were couriered to us so we didn’t lose time as they always needed to be within 3 months of issue – for my wife and I, these certificates were set us back over €500 (in Aussie dollars). Keep in mind though, that in comparison to other first world countries, this is still very affordable. This will depend on the visa you are going for as you need to wait for company registration first, but we’ve heard as little as six weeks and as long as nine months. We applied over Christmas and had some delays as a result. In the end, it took around 6 months. Yes, our neighbours are tobacco farmers. What Are the Downsides of Living in Andorra? It’s not well documented, and getting a clear answer on government policy can be hard. You can’t read a guide and easily relocate here, you really need to hit the ground and explore. You can’t rock up to an expat tech startup meeting here, more effort is required than most major cities. For those running a business, it can be hard to find software that works with local systems. Get used to explaining where it is (“No, it’s not in Africa!“). It can be tricky to get products shipped here. They still have 6 digit phone numbers – even Twitter can’t figure out how to accept Andorran telephone numbers! It’s a tricky place to learn a language. Despite Catalan being the official language, much of the country spends their day speaking Spanish or French. Or Portuguese. Or, to a lesser extent, English or Russian. If you travel a lot, maybe the 3 hour bus ride (or ~2.5 hour drive) at the end of your flight is a deal breaker. 5 minutes drive and a steep hike from home. So that’s the major points I can think of for now. If you have questions about living in Andorra or if you want to visit and check it out, leave a comment. 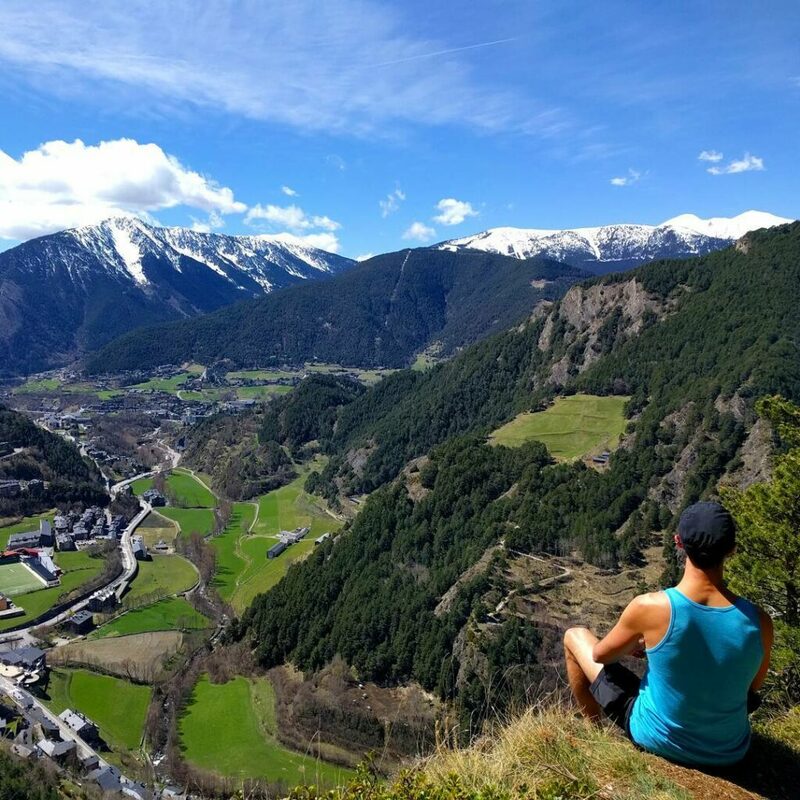 TL;DR. Andorra is a beautiful, affordable, safe place to live that is perfect for the location independent, with many, many opportunities to spend outdoors being active. If you are thinking of moving to Andorra and have questions about what it’s like to live in, getting residency, where the best areas to live are, or something completely different, please feel free to email me at jasonrodley@gmail.com. I’ve learned a lot on the ground here and I’m happy to help. Don’t quote me on this, but I think passive residence starts at €500,000 that you can bring to the country in any mix of property, cash and managed investments. – for most foreign nationals you can go category D, get your residency as GM and bring espouse and children under the same Social Security umbrella without having to pay per head. – you MUST avoid crossing the Spanish border during peak times, specially going out on Sunday afternoons and in on Saturday mornings. – speed camera fine = €40. Don’t ask. – subsidised Cirque du Soleil show every summer, free standing, €15 seating. Sounds great. You paint a nice picture. Firstly Jase, thank you for taking to share your story. One question I have re the company route D, which I understand is the option you took. Did you also have to put down a 50,000 Euro bond? Hi Dennis, if you take this route there is no bond, just EUR3000 share capital that must be paid into your company’s account. Once you have residency this can be used in the company. I’d love to know how much it would cost you to maintain a compagny per year in lawyer and accountants fees so I could compare vs the what the agencies told me. You can contact me on email if you feel like sharing about it. I did indeed get help as my Català is molt malament. You’re going to get wild swings in quotations here depending on how much hand-holding you need, how many expenses/invoices you have and so on. I’d suggest if you’re running a serious business with plenty of paperwork, VAT claims and so on, you’re going to spend around a ~€900 per year. This is about right. I pay an accountant 80 euros per month on a retainer and everything gets done. Year end I pay an additional 300 euros. 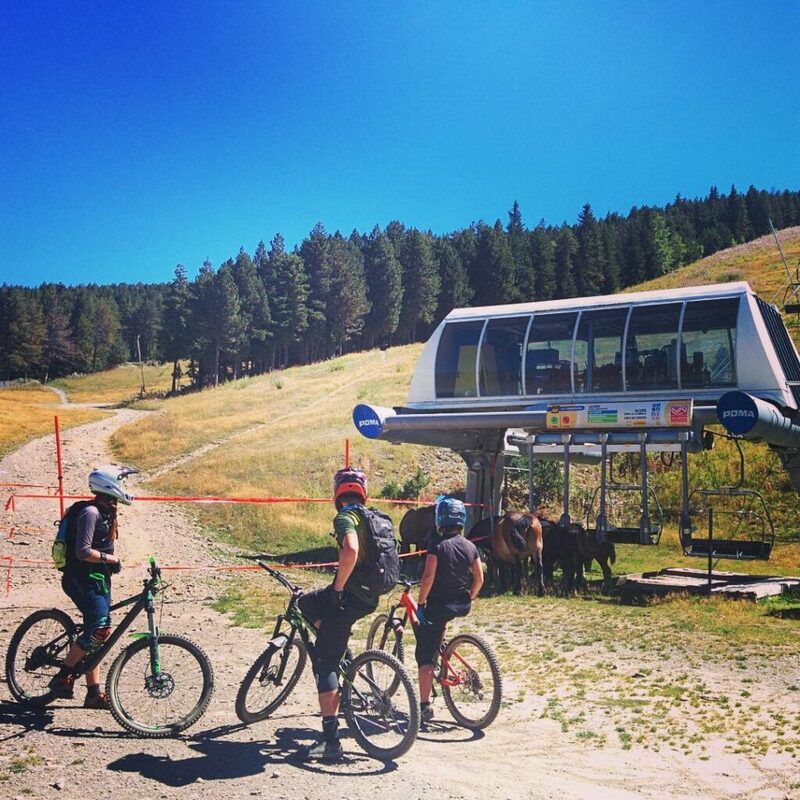 BTW – assume there’s single track as well as cross country mtb?? The first time we visited was also in November. 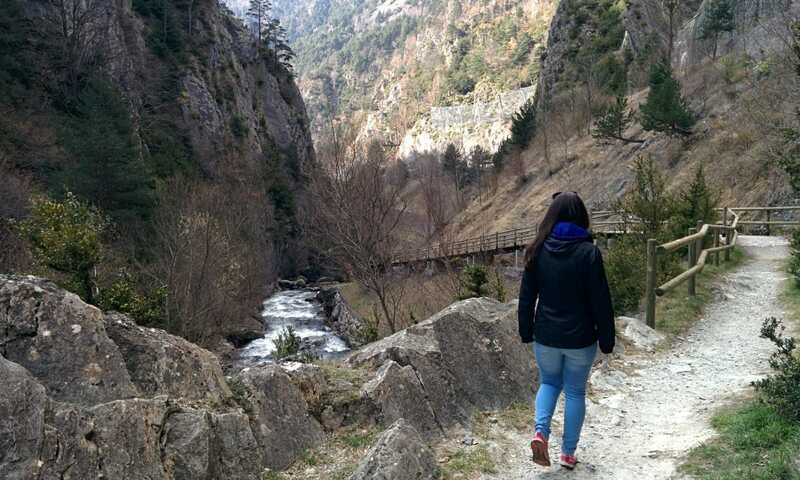 For many people, their biggest concern about being in Andorra is that it will be too quiet. If you have these concerns, November is a perfect time of year to see the country as much is closed as it’s the quiet time before ski season. I don’t know how much living overseas you have done, but we found it helpful to rent a furnished apartment, learn where the good supermarkets were and – really we did a lot of walking. The boring stuff gives you more of an insight into what normal life will be like, and hopefully doesn’t sugar coat what life will be like. The best place to look for a rental is http://www.buscocasa.ad, though an even better bet is to find an agent that will do the searching for you. It doesn’t cost you any extra and there is more available offline than online. 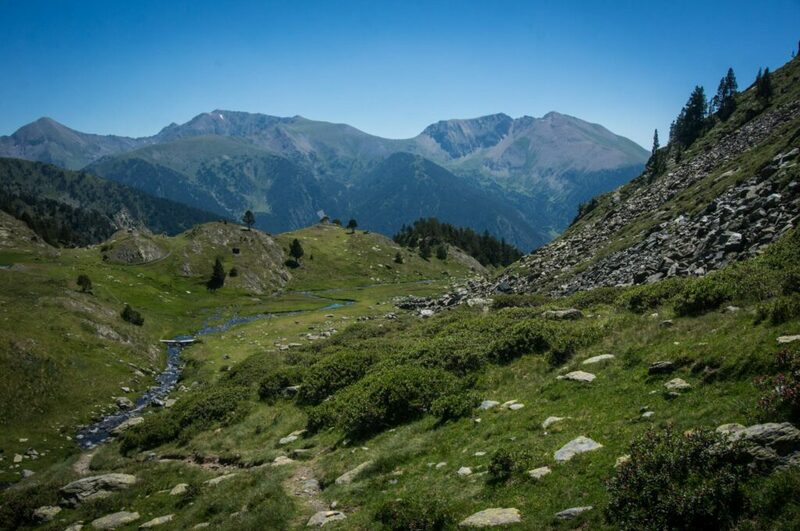 MTB in Andorra is a tricky one – due to the steepness of the country, there’s not a lot of “warm up trails”. There are plenty of wider, unsealed farm roads, but most descending is fairly technical. Both Vallnord and Granvalira are worth checking out. I noticed a general statement about getting systems to work with you when you live in Andorra. I’m thinking about coming there and am a fellow internet marketer. Are you saying it’s hard to get credit card processing systems that’ll connect infusionsoft or clickfunnels into a processor that’ll credit an Andorran bank? Hi Robin, as far as well-integrated credit card processors go it’s not so bad. Unfortunately Stripe isn’t available here, however Braintree is, which will probably be your best option. If you have an Andorran company and local bank account, chances are your bank will give you the option to set up an account with RedSys which gets great processing rates. The downside being it’s harder to set up/may not work with your SaaS products. Thank you so much for taking the time to respond. I can work with Braintree… I’m reading information about having to have a lot of cash upfront for government bonds and such. But it sounds like by setting up a company (totally do-able) I can avoid it. Can you recommend someone I can contact to work through the options for my specific situation? I’ve married into a family where I now have 3 step kids very close together in age. Moving to EU or Andorra now very attractive.. else I’m looking at a $75k/year bill for a few years when each kid is in college simultaneously!!! Hi Jase, I’m thinking to move out to Andorra in one or two years. When becoming a ‘passive residence’ category A, do you automatically loose your first nationality (for me : Belgium)? Hi Joris, no your residence is independent of your citizenship. The requirements don’t change a much based on where you are a citizen (though it’s possible some countries will “pass” immigration checks more easily than others). However requirements will change based on the type of residency you’re choosing. If what I have in this post isn’t detailed enough there are more in-depht pages on the topic for both active and passive residency. I want to be a resident here and Nationalize, what are your requirement. I don’t have any requirements as I’m not the government. Do know that nationalisation is not something you can do quickly or easily. You really need to become integrated in the country. There are better alternatives if you’re doing it for the passport alone. After some research, it seems that passive residency and tax residency are quite different. In any case, if you want your tax residency to be in Andorra you have to stay at least 183 days in a year and not 90 days as you mention on your passive residency tax review. Actually tax residency is even more complicated than that. It depends not only on Andorra but the country that you are from. For many people, they could spend 183 days in Andorra, but still be considered a tax resident in their home country. I am not a tax lawyer so I can’t specify what requirement each reader needs to follow to be compliant.